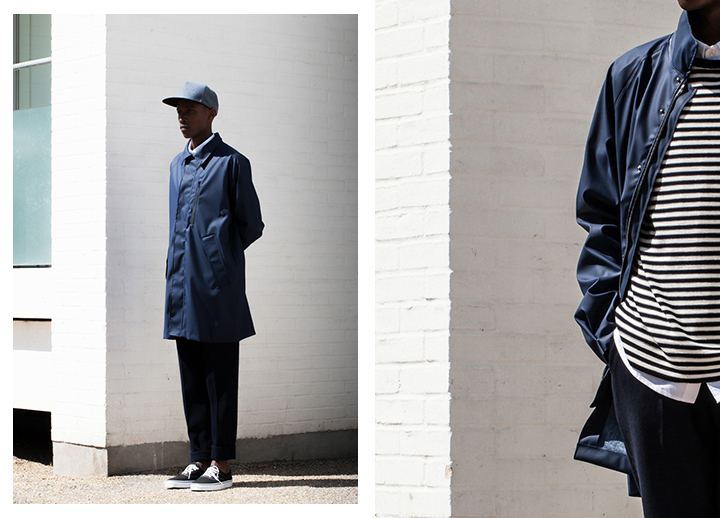 Danish rainwear brand Elka present their Spring/Summer 2014 Elka Regntøj collection in this exceptionally well executed lookbook. Originally founded in 1958 by Ejnar Lauridsen in Karup, the brand Elka takes it’s name from his initials (EL) and the first two letters of the city it was born in (Ka). 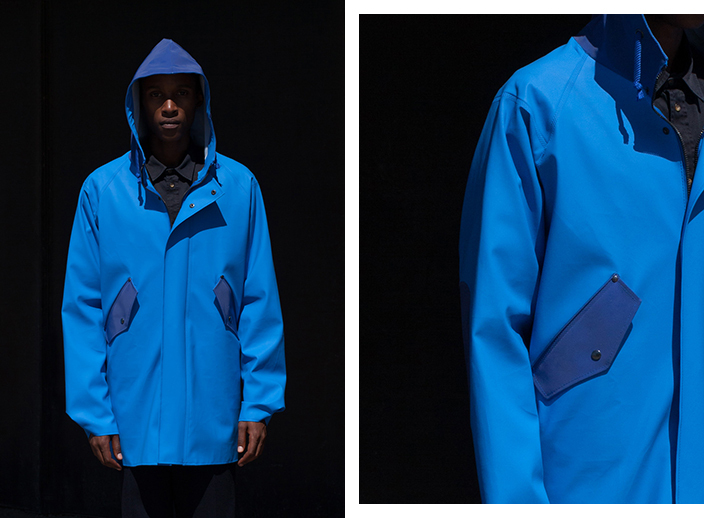 Although it has a long and rich heritage in rainwear, the brand came to most people’s attentions via it’s very well selected collaborations, starting with COMME des GARÇONS in 2007 and followed by Norse Projects in 2009, the collaboration that arguably put Elka on the map in the UK. 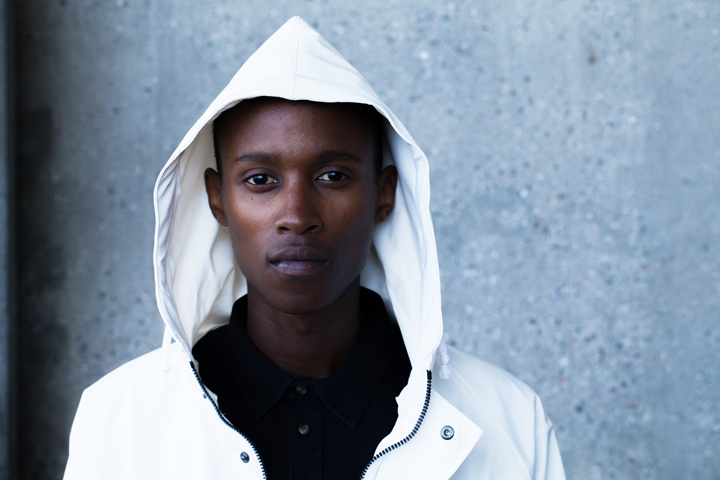 Here we see the brand present it’s own standalone collection of outerwear under the brand name Elka Regntøj, launched in 2012 and aimed towards the fashion market, a logical step for the brand after the success it found via collaborations. 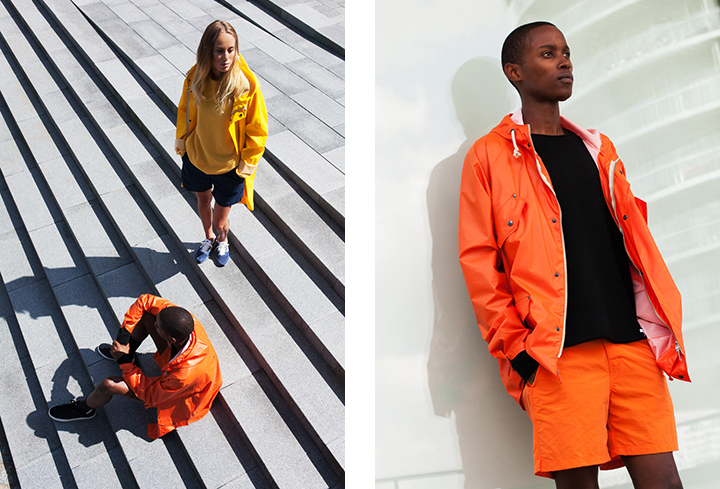 Based on classic rainwear from the brand’s past, the Elka Regntøj collection brings a more contemporary and modern twist to their iconic outerwear and the SS14 collection is no exception. Bright, bold, tonal colourways feature throughout the collection, keeping things simple yet striking. 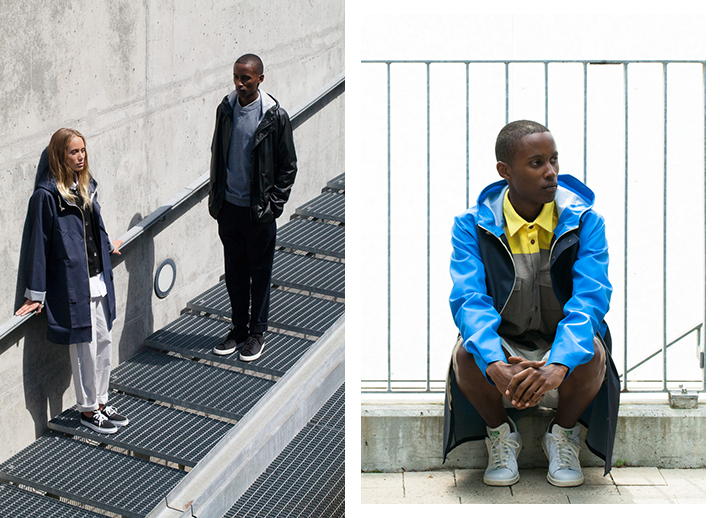 You can expect the Spring/Summer 2014 collection to be available soon from Elka stockists such as END. and Liberty London.